The lucky bearer of this voucher will receive six hours of group lessons with French Speak. More details can be found in the description below. The lucky bearer of this voucher will receive five hours of private tuition with French Speak. 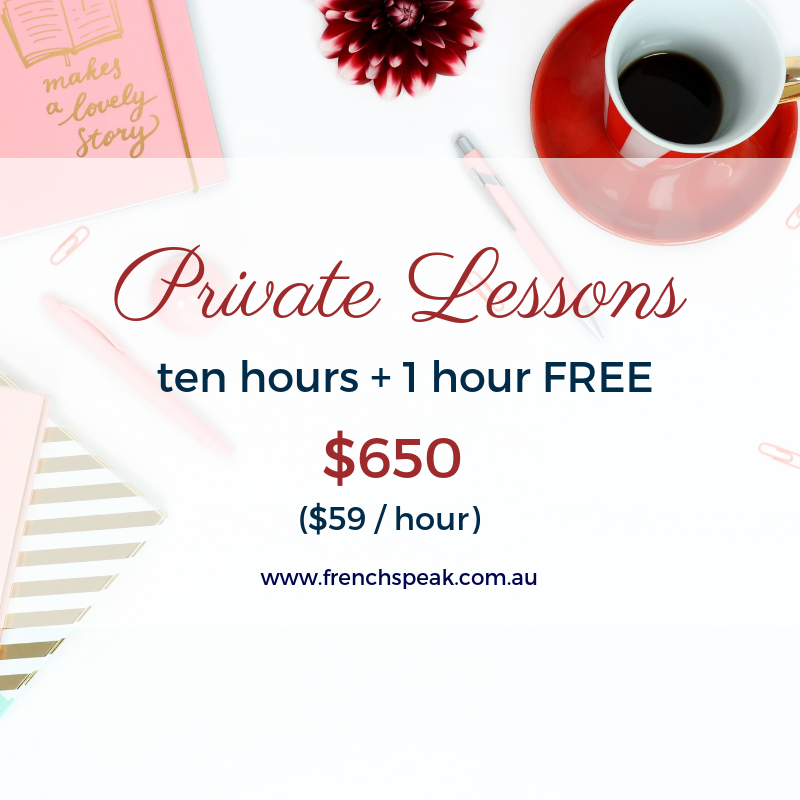 This will entitle you to five hours of private tuition with French Speak. Get your credit card or your PayPal login details ready. Just click ADD TO CART and follow the prompts. 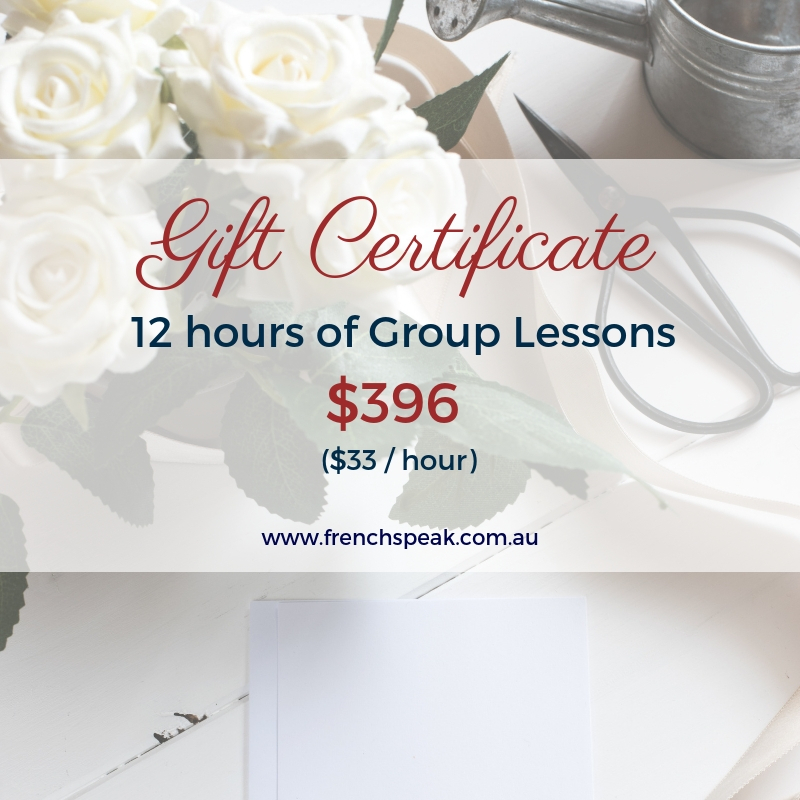 The lucky bearer of this voucher will receive twelve hours of group lessons with French Speak. 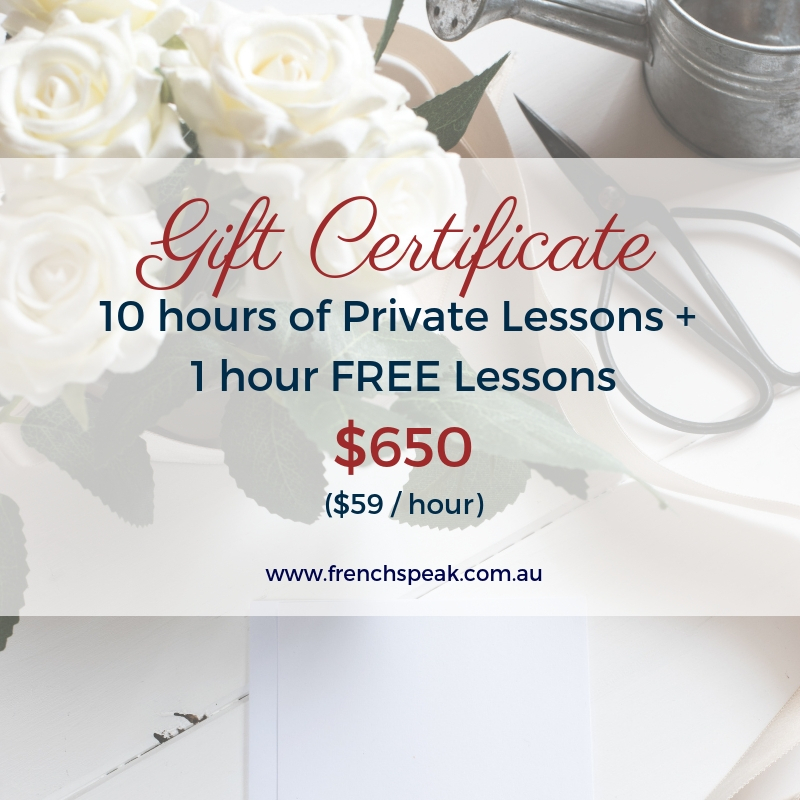 The lucky bearer of this voucher will receive ten hours of private tuition with French Speak. 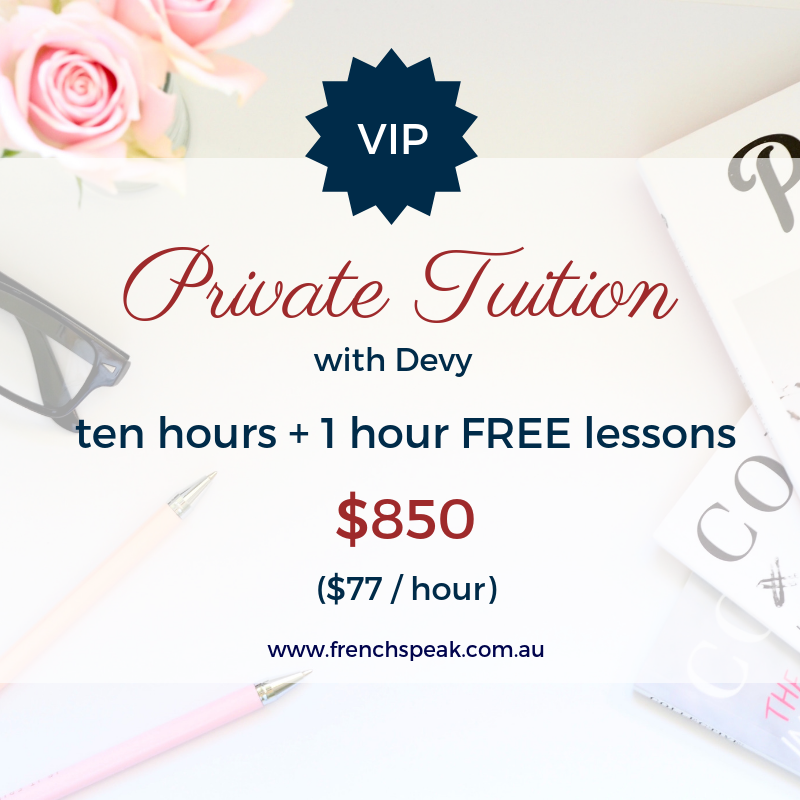 This will entitle you to eleven hours of private tuition with French Speak.